What is Invisalign? Invisalign is an innovative alternative to conventional metal braces that creates a radiant smile with more comfort and convenience. The unique system straightens the teeth with a series of custom-fit aligners that gradually transform the smile in a comfortable and discreet manner. Unlike metal braces, Invisalign trays are non-invasive without irritating metal wires and bands that can cause discomfort and painful sores. Because the Invisalign system is removable, patients can enjoy a cleaner and healthier mouth while on their journey to a more beautiful smile. Patients who choose Invisalign receive customized care by a specially trained orthodontist who will determine the best course of care for each individual and create a personalized treatment plan. How does Invisalign work? Unlike metal braces that are firmly attached to the teeth and bound together with irritating metal wires and bands, Invisalign uses a system of personalized aligner trays that gradually straighten the teeth in place. The aligners are specially formed to move the teeth into an exact position that is carefully planned by the orthodontist. The aligner trays are made of clear plastic that is barely noticeable and are replaced by a new set every two weeks until the course of treatment is completed. The system allows patients to enjoy whatever food they choose. The aligners are easily removed for oral hygiene including flossing. The clear system is barely noticeable to others. Invisalign trays are comfortable without irritating wires. Traditional braces require more frequent visits to the orthodontist for adjustments and sometimes repairs. Patients using the Invisalign system make less frequent office visits that are scheduled every four to six weeks. Indulging in favorite foods during the course of a conventional braces treatment often results in damage to the braces and costly repairs. Invisalign patients enjoy the freedom of indulging in their favorite foods without any worry of damaging the device. Invisalign wearers enjoy better oral hygiene than those patients wearing traditional braces who cannot floss or brush well. The patient makes an appointment with a qualified orthodontist. An evaluation is made to determine the best treatment course. Images are made in order to create a personalized system. The first step to achieving that gorgeous smile begins with finding a professionally trained Invisalign provider such as Team Demas Orthodontics. It is important that the orthodontist who provides the alignment treatment is qualified to use the Invisalign system. The best results begin with an experienced and competent team that is dedicated to offering the optimum course of treatment that will result in a radiant smile. At the first consultation visit, the orthodontist will interview the patient to determine if he or she is a good candidate for the Invisalign system. Invisalign can now correct both simple dental misalignment and more complex orthodontic issues. The orthodontist will be able to determine which treatment is the best course of action for each individual case. After the best plan of action is decided, cost and insurance coverage will be discussed. The treatment starts by taking detailed X-ray images of the patient’s mouth. The X-rays offer the orthodontist an inside look at tooth alignment and highlight any obscured damage. Photographs of the mouth are also taken for use as a visual reference, and impressions are made. 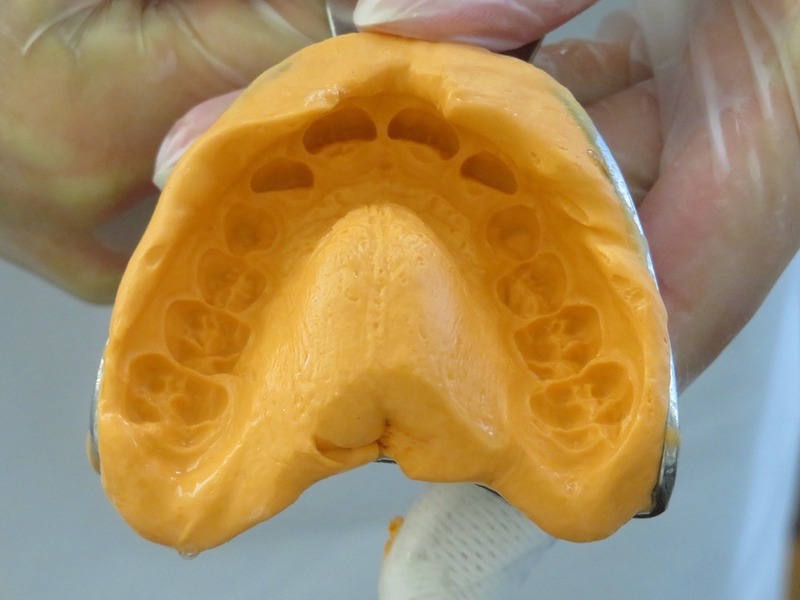 Impressions provide an exact model of the mouth and allow Invisalign to create a 3-D image from which the alignment trays are modeled. With all of the images, the orthodontist can carefully devise a treatment plan and determine its length. The doctor can also provide the patient with virtual images that show the progression of alignment over the course of treatment. The length of treatment for each patient varies depending on the amount of work needed, and the average course is approximately one year. Alignment trays are worn for 20 to 22 hours per day. The aligners are removed for eating and oral hygiene. New aligners are worn every two weeks as the treatment progresses. Invisalign creates customized BPA free plastic aligners that are worn throughout the day. For best results, the aligners should be worn for 20 to 22 hours per day. The trays are removed during the day so that patients can enjoy meals and perform good oral hygiene such as brushing and flossing. The virtually invisible aligners are barely noticeable as they gradually align teeth into a great smile. Every two weeks, patients switch to a new set of aligners that are designed to progressively shift the teeth into the correct position. Every six weeks, a visit to the orthodontist will be scheduled to monitor progress and address any concerns. After the final set of aligners is used, the creation of the patient’s fabulous new smile is complete. 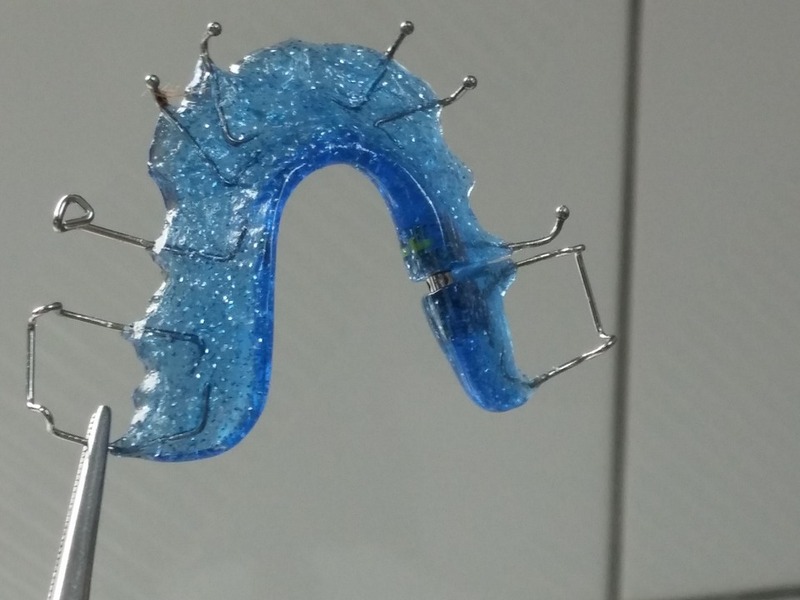 Depending on the individual, some patients may require the use of a retainer to keep their new smile from shifting. How Can Tooth Alignment Benefit Health? A healthy mouth is a strong indicator of overall bodily health. Teeth in bad condition and gum disease often reveal an individual in less than optimal health. Teeth that are misaligned with poor bite can result in poor oral health. The Invisalign system not only improves a patient’s physical appearance, but it can also help promote good oral health. Correcting overbites and misalignment can result in better chewing, alleviate jaw problems and help decrease wear on tooth enamel. Where Can Patients Find a Qualified Invisalign Specialist? Orthodontists are trained to provide patients with skilled care and professional treatment plans. Team Demas Orthodontics, located in Southington, CT consists of a highly trained staff of orthodontic professionals who are dedicated to providing patients with efficient and quality care. The team provides care knowing that a patient’s smile is one of his or her greatest assets.